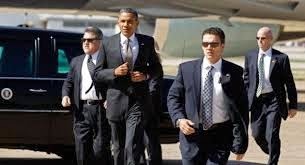 I suspect the current sad state of the Secret Service has something to do with the current occupant of the White House. [...]But their reputation no longer shines like it once did. When Omar Jose Gonzalez scaled the White House fence last week, sprinted across the North Lawn and reached the mansion’s front door, he dirtied the image of an agency that until just a few years ago was incomparably clean. How do the falling fortunes of an agency affect employee morale, which is an important factor in employee performance? Leadership is key to both. One independent look at the Secret Service found employee attitudes to be in a nose dive long before the recent fence-jumper. The “Best Places to Work in the Federal Government” report by the Partnership for Public Service depicts an agency that seems to have lost its way. The agency’s index score dropped 13 points over three years, from 65.8 in 2011 to 52.8 last year. The score is a measure of employee satisfaction and commitment. The Best Places data is drawn from the Federal Employee Viewpoint Survey, which is administered by the Office of Personnel Management. “These numbers are a blinking warning sign that something has gone off track here,” said John Palguta, the Partnership’s vice president for policy.[...] Read more here.